'I must come to you, for I am a student and you are my teachers.' Some people for whom I had waited said: 'Since when have you been waiting for us?' I informed them that I had been sitting there for a pretty long time. They said: 'What a pity, you could have awakened us from our sleep.' I said: 'I did not like to disturb you for my own sake.' I thus carried on my search till there came a time when people began to flock to me for learning. My Ansaari friend realised this at that time and remarked, 'This boy has surely proven himself more sensible than us." It was this devotion to knowledge, which caused Abdullah bin Abbas RA to be known as Hibr-ul-Ummat (the most learned man of Islam) and Bahrul Ulum (ocean of knowledge) in his time. At the time of his death, he was in Taif. Muhammad bin Ali RA led the funeral service and said: "Today we have lost our saintly leader." Abdullah bin Umar RA says: "Abdullah bin Abbas RA is noted for his knowledge regarding the occasions when various verses of the Qur’aan were revealed." According to Umar RA , Ibni Abbas is one of the most eminent Ulama of Islam. This is all due to his hard effort in acquiring knowledge. He could not have attained this position if he had considered himself a member of Nabi's SAW family and as such demanded respect from the people instead of going to them for knowledge. Nabi SAW has said: "Be most humble and respectful to persons from whom you receive knowledge." Mujahid says: "A proud or shy student cannot gain much." Saidina Ali RA says: "I am a slave to the person who has taught me even a single word. He may sell me or set me free." Yahya bin Kathir (Rahmatullahi alaih) says: "Knowledge and easy living cannot go hand in hand." Imam Shaf'i (Rahmatullah alaih) says: "A student who learns half-heartedly and ungratefully can never succeed. A student who is humble and hard-living often reaches his goal." Mughirah says: "We feared our teacher Ibrahim (Rahmatullah alaih) more than even the kings of our times." "A person who wishes to exceed others must burn the midnight oil." It is said about Hadhrat Harith bin Yazid, Hadhrat Ibn Shu- brumah, Hadhrat Qa'qaa, and Hadhrat Mughirah (Rahmatullahi alaihim) that they held discussions over Deeni matters among themselves after Isha and would not disperse before the Azaan of Fajr. Hadhrat Laith bin Sa'eed (Rahmatullah alaih) says: "Imam Zuhri (Rahmatullah alaih) sat after Isha Salaah with Wudhu and continued his discussion on Hadith until it was time for Fajr Salaah." amongst the Muhaddithin for his reliable and systematic record. Ibn Jauzi (Rahmatullah alaih) is another famous Mu- haddith. He was brought up as an orphan, as he lost his father when he was only three. He was so scholarly that he would not leave his house except for Jum'uah Salaah. He once declared from the pulpit, pointing to his fingers: "With these fingers I have written or copied no less than two thousand books." He, himself was the author of more than two hundred and fifty books. It is said that he never remained idle. He used to write four parts of a book daily. His lessons were so popular that as many as 100 000 students at a time listened to him. The kings, their ministers and chiefs would also attend his lectures. 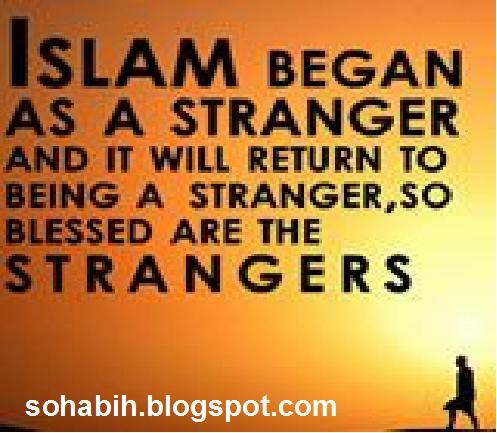 disbelievers have accepted Islam at my hands." He also suffered a great deal at the hands of Shiahs, who were in power those days. He preserved the chips while mending his reed pen and at the time of his death, expressed the desire that those chips be used for warming the water for washing his dead body. It is said that not only the preserved stock was enough for warming the water, but a part was still left unused. Yahya bin Ma'een (Rahmatullah alaih) is a famous Sheikh of Hadith. He says: "I have written one million Ahaadith with my own hand". Ibn Jarir Tabari (Rahmatullah alaih) is a famous historian. He is an authority on the history of the Sahaabah ( and Tabieen. For forty years, he wrote eighty pages daily. After his death, it was calculated that his written work (since his maturity) had come to 28 pages daily. The book on history written by him, which is generally available, is very famous and popular. When he planned to write this book, he said to the people around him: "You will be pleased to learn that I intend writing a book on world history." They inquired: "How big will that book be?" He replied: "About 30 000 leaves." They remarked: "Who will live to finish this book?" He said: "Inna lillahi wa inna ilaihi raaji-oon. People do not have any aspiration." He then decided to reduce the material, which still covered 6000 pages. The same story is reported about his book on the meaning and commentary of the Qu'raan. This is also a very famous and popular book. Daaraqutni (Rahmatullah alaih) is a famous writer on Hadith. He travelled to Baghdad, Basra, Koofah, Wasit, Egypt and Syria for learning Hadith. Once, while attending the class of his teacher, he was seen copying from a certain book. One of the fellow students cautioned him saying: "How can you listen to the Sheikh while doing that work?" He replied: "There is a difference in my listening and yours. Tell me how many Ahaadith has the Sheikh recited so far?" The student began to think. Daaraqutni (Rahmatullah alaih) said: "Now let me tell you. The Sheikh has so far recited eighteen Ahaadith and these are . . . " He then repeated all the eighteen Ahaadith that the Sheikh had recited in the same order, quoting the chain of narra- tion in each case. Hafiz Athram (Rahmatullah alaih) is a Muhaddith. He had a wonderful ability for memorising Ahaadith. Once, when he was in Makkah for Hajj, two reputed Sheikhs from Khurasan were holding their lectures on Hadith in the Haram separately and a large number of people were listening to each Sheikh. He sat between the two groups and noted down the lectures of both the Sheikhs at one and the same time. collecting Ahaadith are well known to everybody. He says: "I have learnt Hadith from four thousand teachers." Ali bin Hasan (Rahmatullah alaih) says: "It was a very cold night when Ibn Mubarak and I stepped out from the musjid after Isha Salaah. We continued our discussion on a Hadith while standing there, till we heard the Azaan for Fajr." 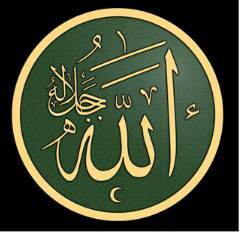 Humaidi (Rahmatullah alaih) is a Muhaddith, who has combined Bukhari and Muslim in one compilation. It is said that he wrote throughout the night. When it was very hot, he would write while sitting in a tub of water. "Mixing with people does not benefit beyond waste of time in gossip. Don't go to the people, except For acquiring knowledge and piety." Imam Tabrani (Rahmatullah alaih) is a famous Muhaddith and author of many books. Somebody asked: "How could you write so many books, Sheikh?" He replied: "I have been on my mat for thirty years." Abul Abbas Shirazi (Rahmatullah alaih) says: "I have learnt 300 000 Ahaadith from Tabrani." Imam Abu Hanifa (Rahmatullah alaih) worked very hard in going into depths of those Ahaadith which contradict others. 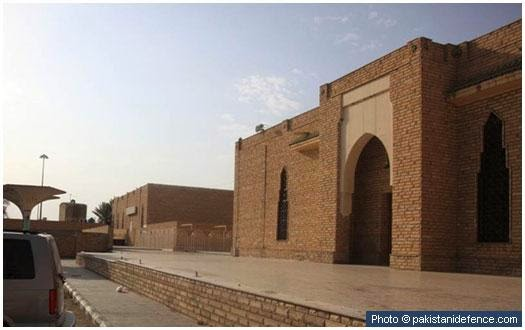 Kufah was the centre of Islamic learning in those days. He had collected Hadith from all the Muhaddithin of that place. Whenever a Muhaddith from outside came to Koofah, he sent his students to him to find out if he knew any such Hadith that was not known to him. The Imam had a well-known circle where scholars of Hadith, Fiqah, and Philology gathered together. They had discussions on regulations concerning Islamic practices. Sometimes the discussions continued for one month before a point was agreed upon, and written in the book of regulations for the people of his school of thought. Imam Tirmizi (Rahmatullah alaih) is known to one and all. He was unique in his ability for memorizing and remembering Ahaadith. His memory was excellent. Some Muhaddithin once tested his memory. They recited before him forty-one Ahaadith. Imam Tirmizi (Rahmatullah alaih) immediately repeated all of them. He himself writes: "On my way to Makkah, I copied two parts from the collections of Hadith by a Sheikh. I happened to come across that Sheikh personally. I said to him, 'I have copied two parts of your collections. I wish to compare those Ahaadith by listening to them directly from you.' The Sheikh agreed. While going to his place, I took a blank book by mistake instead of the note book in which I had copied the Ahaadith. The Sheikh started reciting the Ahaadith, while I held the blank book in my hand. When he noticed it, he was very angry with me. I explained to him how that had happened, and said, 'Sheikh, your time is not wasted. I remember everything that you have said.' He did not believe me and asked me to repeat all that he had recited. I repeated all the Ahaadith. He thought I had memorised them before I came to him. I said, 'You may recite some other Ahaadith.' He recited forty new Ahaadith. I repeated all of them without any error." It is very difficult to sacrifice as hard as these Muhaddithin did in collecting, memorizing and propagating Hadith. It is difficult even to cover all such stories. Qartamah (Rahmatullah alaih) is a Muhaddith who is not very famous.One of his students, Daud, says: "People speak about the memory of Abu Hatim (Rahmatullah alaih). I have never seen a person with better memory than Qartamah. Once he said to me, 'Pick any of the books from my library. I shall recite it from my memory. 'I picked up 'Kitabul-Ashribah.' He recited the whole book in the reverse order i.e., reading from the end to the beginning of each chapter." Abu Zur'ah (Rahmatullahi alaih) says: "Imam Ahmad bin Hambal (Rahmatullah alaih) remembered one million Ahaadith by heart. I have collected 100 000 Ahaadith and I know 30 000 of them by heart." Khafaf (Rahmatullah alaih) says: "Ishaq (Rahmatulla alaih) once read out to us 11 000 Ahaadith from his memory. He then repeated all of them in the same order, without any mistake." Abu Sa'd Isbahani, (Rahmatullah alaih) was only sixteen when he left from Baghdad to learn Hadith from Abu Nasr (Rahmatullah alaih). He heard about Abu Nasr’s (Rahmatullah alaih) death on the way. He cried bitterly like a child and would say: "How shall I know the chain of narrators of this Hadith?" Such crying is not possible without love and devotion. He knew the 'Muslim' collection of Ahaadith by heart and taught the book to his pupils from memory.Abu Umar Dharir (Rahmatullah alaih) who was blind from birth, is counted among the Huffaaz of Hadith. He was an expert in History, Fiqah, Law of inheritance and mathematics. Abul Husain Isfahani (Rahmatullah alaih) remembered both the Bukhari and Muslim compilations by heart. Bukhari was so deeply fixed in his memory that he would give the chain of narrators for any text or vice versa. Sheikh Taqi-ud-Din Ba'albakki (Rahmatullah alaih) memorised the 'Muslim shareef' in four months. He was also Hafiz of Ahaadith which were common in Muslim and Bukhari's compilations. He was a saint and many miracles are attributed him. He had also memorized the Qur’aan. It is said that Soorah Al-An'aam was memorised by him in one day. Ibnus-Sunni (Rahmatullah alaih) is a famous pupil of Imam Nasai (Rahmatullah alaih). He was writing Hadith even up to the last moments of his life. His son says: "While my father was writing Hadith, he put aside the pen, raised his hands in prayer and breathed his last." Allamah Saaji (Rahmatullah alaih) mastered Fiqah (Islamic laws) in his teens. Then he began to acquire knowledge about Hadith. He stayed in Herat for ten years and wrote the whole of Tirmizi six times during that stay. His teacherIbn Mandah (Rahmatullah alaih) died while teaching him ‘Gharaib Sho'bah’ after Isha. "Brother, the first Hadith you recited as such (reciting as the man had done), but actually it is such (reciting the correct wording) and so on." He repeated all the hundred Ahaadith first in the form in which those men had recited, and again in the correct form in that very order. Imam Muslim (Rahmatullah alaih) started learning Hadith when he was fourteen, and remained engaged in it till his death. He says: "I have gathered my book of 12 000 Ahaadith after selecting from 300 000 Ahaadith." Abu Daud (Rahmatullah alaih) says: "I had collected 500 000 Ahaadith, but I selected only 4 800 for inclusion in my book." Yusuf Muzi (Rahmatullah alaih) is a famous Muhaddith. He is an Imam in the science of Asmaa-ur Rijaal (classification of narrators of Hadith). After learning Fiqh and Hadith from the teachers in his own town, he went to Makkah, Madinah,Halb, Hamat, Ba'albak etc, in search of further knowledge. He is the writer of many books. 'Tahzib-ul-Kamal' is in 200 parts and 'Kitab-ul-Atraaf' has more than 80 parts. He often kept quiet and spoke very little. Most of the time he was engaged in reading or writing. He suffered at the hands of his enemies, who were jealous of him, but he never took revenge. It is really very difficult to cover all the stories of other famous people regarding their service to knowledge. The details of their hard work cannot be covered even in several volumes. What has been written above is only meant to give a few glimpses of the pains that our elders in Islam have taken in the development of knowledge about Hadith and leaving it to us in such an expert form. Let those people who profess to seek knowledge see for themselves what sacrifices they are really making in this field. It is useless to hope that the knowledge about Nabi (, which has thus reached us, will be spread and brought into practice while we remain engaged in our luxuries, comforts, pleasures and other worldly engagements. Abdullah was the son of Abbas, an uncle of the noble Prophet. He was born just three years before the Hijrah. When the Prophet died, Abdullah was thus only thirteen years old. When Abdullah reached the age of discretion, he attached himself to the service of the Prophet. He would run to fetch water for him when he wanted to make wudu. During Salat, he would stand behind the Prophet in prayer and when the Prophet went on journeys or expeditions, he would follow next in line to him. 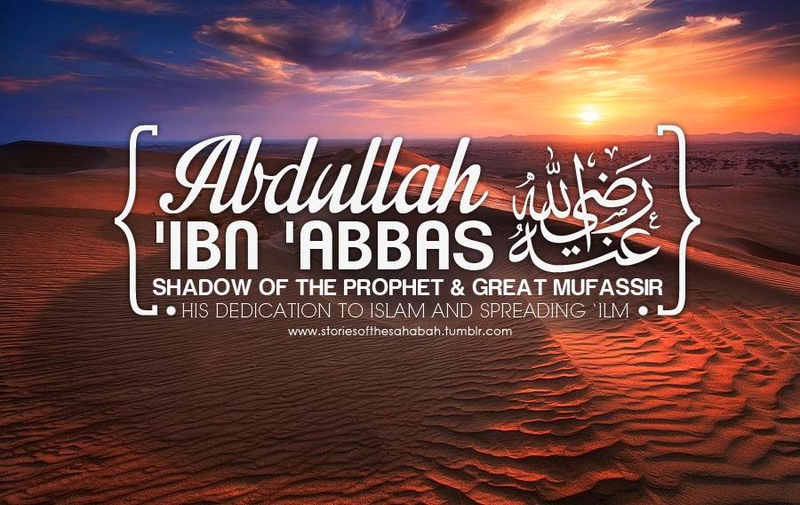 Abdullah thus became like the shadow of the Prophet, constantly in his company. In all these situations he was attentive and alert to whatever the Prophet did and said. His heart was enthusiastic and his young mind was pure and uncluttered, committing the Prophet's words to memory with the capacity and accuracy of a recording instrument. In this way and through his constant researches later, as we shall see, Abdullah became one of the most learned companions of the Prophet, preserving on behalf of later generations of Muslims, the priceless words of the Messenger of God. It is said that he committed to memory about one thousand, six hundred and sixty sayings of the Prophet which are recorded and authenticated in the collections of al-Bukhari and Muslim. The Prophet would often draw Abdullah as a child close to him, pat him on the shoulder and pray: "O Lord, make him acquire a deep understanding of the religion of Islam and instruct him in the meaning and interpretation of things." There were many occasions thereafter when the blessed Prophet SAW would repeat this dua or prayer for his cousin and before long Abdullah ibn Abbas RA realized that his life was to be devoted to the pursuit of learning and knowledge. I replied. Raising his hands to the heavens, the Prophet then prayed: 'O Lord, grant him wisdom." The Prophet's prayer undoubtedly was granted for the young Abdullah RA was to prove time and again that he possessed a wisdom beyond his years. But it was a wisdom that came only with devotion and the dogged pursuit of knowledge both during the Prophet's lifetime and after his death. Abdullah RA described what he once did on hearing that a companion of the Prophet SAW knew a hadith unknown to him: "I went to him during the time of the afternoon siesta and spread my cloak in front of his door. The wind blew dust on me (as I sat waiting for him). If I wished I could have sought his permission to enter and he would certainly have given me permission. But I preferred to wait on him so that he could be completely refreshed. Coming out of his house and seeing me in that condition he said: 'O cousin of the Prophet SAW! What's the matter with you? If you had sent for me I would have come to you.' 'I am the one who should come to you, for knowledge is sought, it does not just come,' I said. I asked him about the hadith and learnt from him." In this way, the dedicated Abdullah RA would ask, and ask, and go on asking. And he would sift and scrutinize the information he had collected with his keen and meticulous mind. It was not only in the collection of hadith that Abdullah RA specialized. He devoted himself to acquiring knowledge in a wide variety of fields. He had a special admiration for persons like Zayd ibn Thabit, the recorder of the revelation, the leading judge and jurist consult in Madinah, an expert in the laws of inheritance and in reading the Quran. When Zayd RA intended to go on a trip, the young Abdullah RA would stand humbly at his side and taking hold of the reins of his mount would adopt the attitude of a humble servant in the presence of his master. Zayd RA would say to him: "Don't, O cousin of the Prophet." "Thus we were commanded to treat the learned ones among us," Abdullah RA would say. "And Zayd would say to him in turn: "Let me see your hand." Abdullah RA would stretch out his hand. Zayd RA, taking it, would kiss it and say: "Thus we were commanded to treat the ahl al-bayt members of the household of the Prophet." As Abdullah's knowledge grew, he grew in stature. Masruq ibn al Ajda RA said of him: "Whenever I saw Ibn Abbas, I would say: He is the most handsome of men. When he spoke, I would say: He is the most eloquent of men. And when he held a conversation, I would say: He is the most knowledgeable of men." The Khalifah Umar ibn al-Khattab RA often sought his advice on important matters of state and described him as "the young man of maturity". Sad ibn abi Waqqas RA described him with these words: "I have never seen someone who was quicker in understanding, who had more knowledge and greater wisdom than Ibn Abbas. I have seen Umar RA summon him to discuss difficult problems in the presence of veterans of Badr from among the Muhajirin and Ansar. 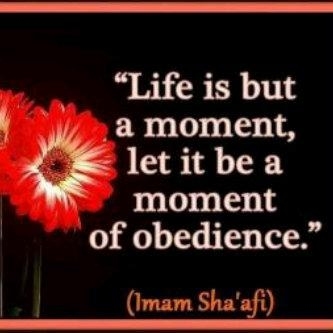 Ibn Abbas would speak and Umar RA would not disregard what he had to say." It is these qualities which resulted in Abdullah ibn Abbas RA being known as "the learned man of this Ummah". Abdullah ibn Abbas RA was not content to accumulate knowledge. He felt he had a duty to the ummah to educate those in search of knowledge and the general masses of the Muslim community. He turned to teaching and his house became a university - yes, a university in the full sense of the word, a university with specialized teaching but with the difference that there was only one teacher Abdullah ibn Abbas RA. Again the house was filled and Abdullah RA elucidated and provided more information than what was requested." To avoid congestion with many groups of people coming to discuss various subjects on a single day, Abdullah RA decided to devote one day exclusively for a particular discipline. On one day, only the exegesis of the Quran would be taught while on another day only fiqh (jurisprudence). The maghazi or campaigns of the Prophet SAW , poetry, Arab history before Islam were each allocated a special day. Abdullah ibn Abbas RA brought to his teaching a powerful memory and a formidable intellect. His explanations were precise, clear and logical. His arguments were persuasive and supported by pertinent textual evidence and historical facts. One occasion when his formidable powers of persuasion was used was during the caliphate of Ali RA. A large number of supporters of Ali in his stand against Muawiyah RA had just deserted him. Abdullah ibn Abbas RA went to Ali RA and requested permission to speak to them. Ali hesitated fearing that Abdullah RA would be in danger at their hands but eventually gave way on Abdullah's optimism that nothing untoward would happen. Abdullah RA went over to the group. They were absorbed in worship. Some were not willing to let him speak but others were prepared to give him a hearing. "Tell me" asked Abdullah RA, "what grievances have you against the cousin of the Prophet SAW, the husband of his daughter and the first of those who believed in him?" "The men proceeded to relate three main complaints against Ali RA. First, that he appointed men to pass judgment in matters pertaining to the religion of God - meaning that Ali had agreed to accept the arbitration of Abu Musa al-Asbari RA and Amr ibn al-As RA in the dispute with Muawiyah. Secondly, that he fought and did not take booty nor prisoners of war. Thirdly, that he did not insist on the title of Amir al-Muminin during the arbitration process although the Muslims had pledged allegiance to him and he was their legitimate amir. To them this was obviously a sign of weakness and a sign that Ali was prepared to bring his legitimate position as Amir al-Muminin into disrepute. In reply, Abdullah asked them that should he cite verses from the Quran and sayings of the Prophet SAW to which they had no objection and which related to their criticisms, would they be prepared to change their position. They replied that they would and Abdullah RA proceeded: "Regarding your statement that Ali has appointed men to pass judgment in matters pertaining to Allah's religion, Allah Glorified and Exalted is He, says: 'O you who believe! Kill not game while in the sacred precincts or in pilgrim garb. If any of you do so intentionally, the compensation is an offering, of a domestic animal equivalent to the one he killed and adjudged by two just men among." "I adjure you, by God! Is the adjudication by men in matters pertaining to the preservation of their blood and their lives and making peace between them more deserving of attention than adjudication over a rabbit whose value is only a quarter of a dirham?" "Have we then finished with this point?" asked Abdullah RA and their reply was: "Allahumma, naam - O Lord, yes!" Abdullah RA went on: "As for your statement that Ali RA fought and did not take prisoners of war as the Prophet SAW did, do you really desire to take your "mother" Aishah RA as a captive and treat her as fair game in the way that captives are treated? If your answer is "Yes", then you have fallen into kufr (disbelief). And if you say that she is not your "mother", you would also have fallen into a state of kufr for Allah, Glorified and Exalted is He, has said: "The Prophet is closer to the believers than their own selves and his wives are their mothers (entitled to respect and consideration)" (The Quran, Surah al-Ahzab, 34:6). "Choose for yourself what you want," said Abdullah RA and then he asked: "Have we then finished with this point?" and this time too their reply was: "Allahumma, naam - O Lord, yes!" Abdullah RA went on: "As for your statement that Ali RA has surrendered the title of Amir al-Muminin, (remember) that the Prophet SAW himself, peace and blessings of God be on him, at the time of Hudaybiyyah, demanded that the mushrikin write in the truce which he concluded with them: 'This is what the Messenger of God has agreed...' and they retorted: 'If we believed that you were the Messenger of God we would not have blocked your way to the Kabah nor would we have fought you. One of the fruits of this verbal challenge in which Abdullah RA displayed his intimate knowledge of the Quran and the sirah of the Prophet SAW as well as his remarkable powers of argument and persuasion, was that the majority, about twenty thousand men, returned to the ranks of Ali RA. About four thousand however remained obdurate. These latter came to be known as Kharijites. On this and other occasions, the courageous Abdullah RA showed that he preferred peace above war, and logic against force and violence. However, he was not only known for his courage, his perceptive thought and his vast knowledge. He was also known for his great generosity and hospitality. Some of his contemporaries said of his household: "We have not seen a house which has more food or drink or fruit or knowledge than the house of Ibn Abbas." Abdullah ibn Abbas RA was constant in his devotions. He kept voluntary fasts regularly and often stayed up at night in Prayer. He would weep while praying and reading the Quran. And when reciting verses dealing with death, resurrection and the life hereafter his voice would be heavy from deep sobbing. Umar used to make me sit with the elderly men who had fought in the battle of Badr. Some of th(Abd-al-Rahman ibn Awf felt it (did not like that) and said to Umar: "Why do you bring in this boy to sit with us, while we have sons like him?" Umar replied "Because of what you know of his position" (i.e. his religious knowledge). One day Umar called me and made me sit in the gathering of those people, and I think that he called me just to show them (my religious knowledge). 'Umar then asked them in my presence: 'What do you say about the interpretation of the statement of Allah'. (O Muhammad) when comes the help of God (to you against your enemies) and the conquest (which is the sign of your death) – you should celebrate the praises of your Lord and ask for His forgiveness, and He is the One who accepts the repentance and forgives". On that Umar said: "I do not know anything about it other than what you have said"
I have never seen someone who was quicker in understanding, who had more knowledge and greater wisdom than Ibn Abbas. I have seen Umar summon him to discuss difficult problems in the presence of veterans of Badr from among the Muhajirin and Ansar. Ibn Abbas would speak and Umar would not disregard what he had to say. Ibn Abbas remained a staunch supporter of the final Caliph Ali ibn Abi Talib, during Ali's war with Muawiyah, including at the Battle of Siffin. He had also been given the position of governor of Basra during Ali's reign as Caliph. By a Yemenite princess named Zahra bint Mishrah, Ibn Abbas had seven children. 1. Al-Abbas, the first born, who was childless. 2. Ali ibn Abdullah (died 736 CE), who was the grandfather of the first two Abbasid caliphs, who replaced the Umayyads in 750 CE. 3. 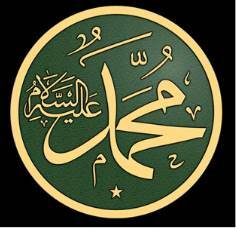 Muhammad, who was childless. 4. Ubaydullah, who was childless. 5. Al-Fadl, who was childless. 7. Lubaba, who married Ali ibn Abdullah ibn Jaafar and had descendants. By a concubine, he had another daughter, Asma, who married her cousin Abdullah ibn Ubaydullah ibn Abbas and had two sons. Ali ibn Husam Adin (commonly known as al-Mutaki al-Hindi) records that ibn Abbas narrated that Muhammad said the following about his deceased aunt Fatima, the mother of Ali: "I (Muhammad) put on her my shirt that she may wear the clothes of heaven, and I lay with her in her coffin that I may lessen the pressure of the grave. She was the best of Allah’s creatures to me after Abu Talib". Whenever I saw Ibn Abbas, I would say: He is the most handsome of men. When he spoke, I would say: He is the most eloquent of men. And when he held a conversation, I would say: He is the most knowledgeable of men." Ibn Abbas is highly respected by both Shia and Sunnis.